Whether you need a new sign for your small business or are looking to enhance your advertising with some promotional signs, we can help. Call us today at203-792-4091 and receive a free quote for your next project! Take your advertising on the road with you! Add a custom vehicle wrap to any car, truck, box truck, or trailer and let your travel work for you. You can easily transform your car into a mobile advertisement and reach hundreds of potential clients in an effortless way. 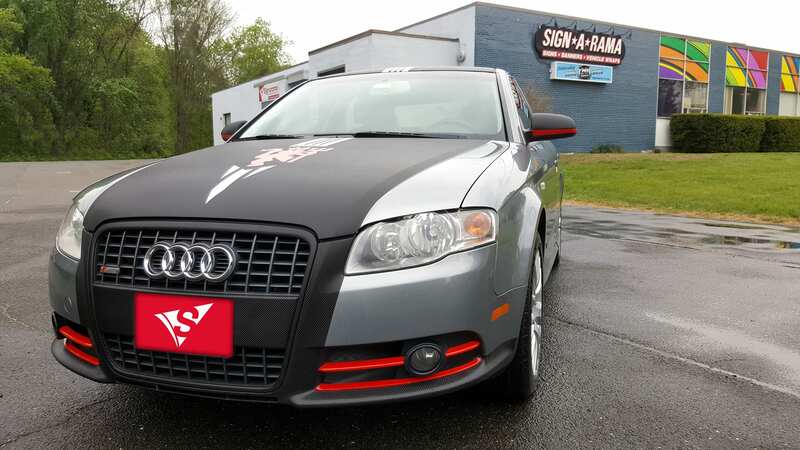 Transform your car into a mobile advertisement with our custom car wraps. 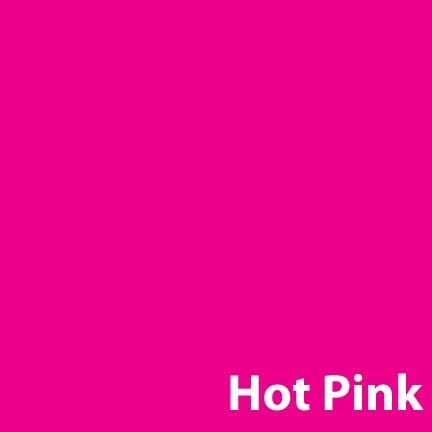 These can be applied directly over your cars original paint and come in different fonts, colors, styles, and graphics. We can apply a full wrap, partial wrap, color change, fluorescent, or reflective vinyl wrapping for you. Our customers can find their box truck wraps right here at Signarama. We offer many options for you to customize it and fit your businesses needs. Choose from different fonts, colors, styles and graphics and turn your box truck into a mobile billboard. We can apply full wraps, partial wraps, color changing, and fluorescent and reflective vinyl wraps to your vehicle. 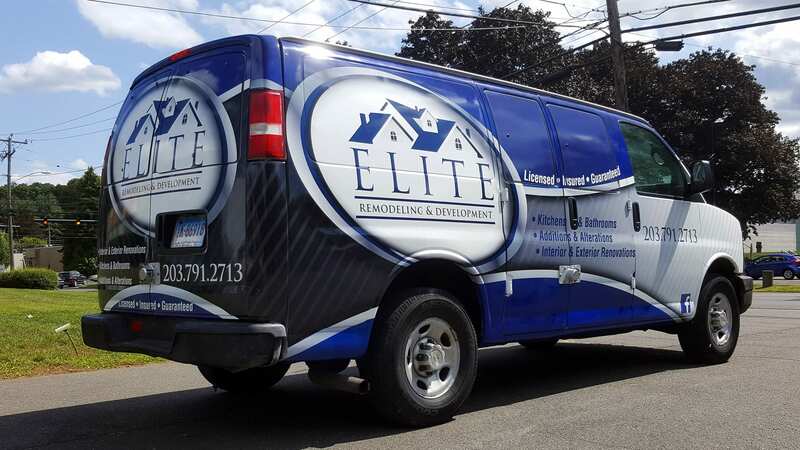 Larger companies in Naugatuck with multiple vehicles can benefit from our custom fleet graphics and lettering services. 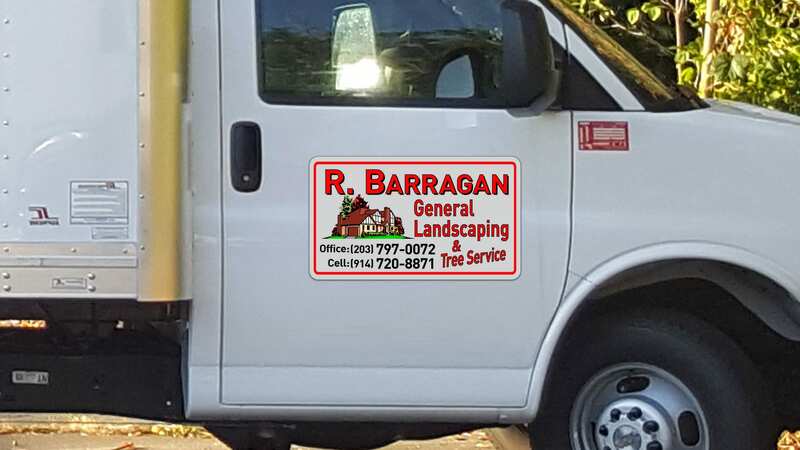 We can help you add your business name, slogan, contact information and custom graphic (like your companies logo) to an entire line of vehicles like multiple box trucks or trailers. 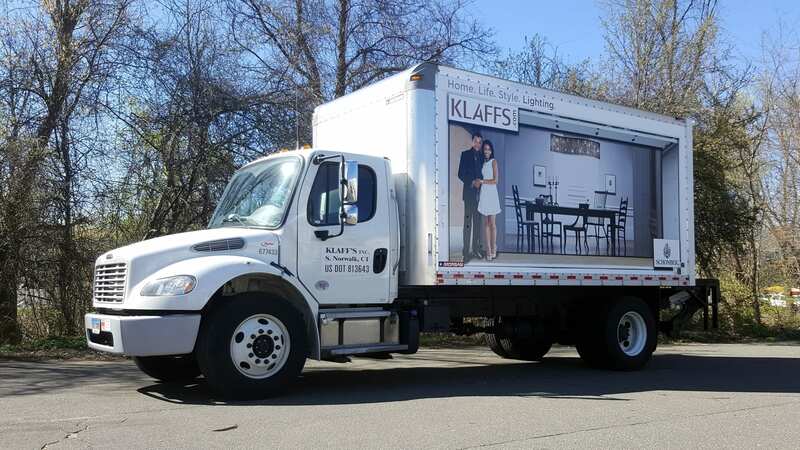 Custom trailer wraps can help gain new customers while making deliveries or having it parked on the street during a landscaping job. Let your vehicles work for you by adding a wrap to advertise your company. We have many options to choose from to fit your trailer and can install it without issue. 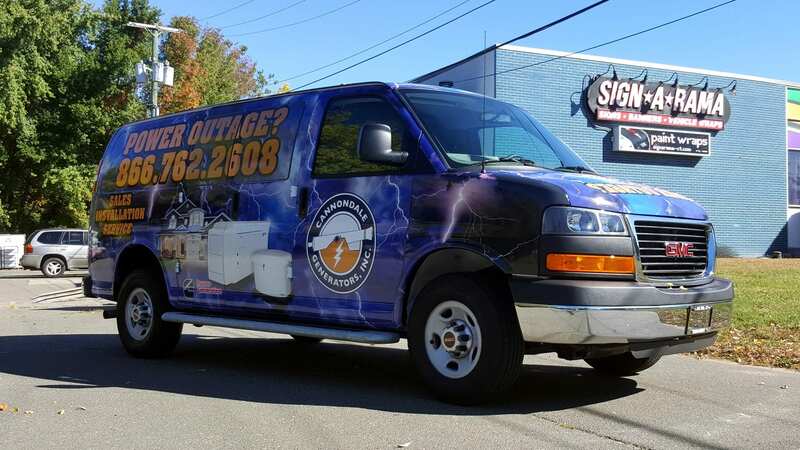 Whether your Naugatuck business has one truck or dozens we can design and install truck wraps to all of them! While parked at a job site or simply driving from point A to point B fellow drivers from all over the state will be able to see what your company is all about. Call us today to hear about our many options. We are happy to provide our customers with many signage options. Whether you need a few posters for an upcoming event or are looking for a new menu board to display at your restaurant we have the creativity and means to get your order processed on time and deliver you a high-quality product. Have a special event coming up and need a sturdy sign to promote it? 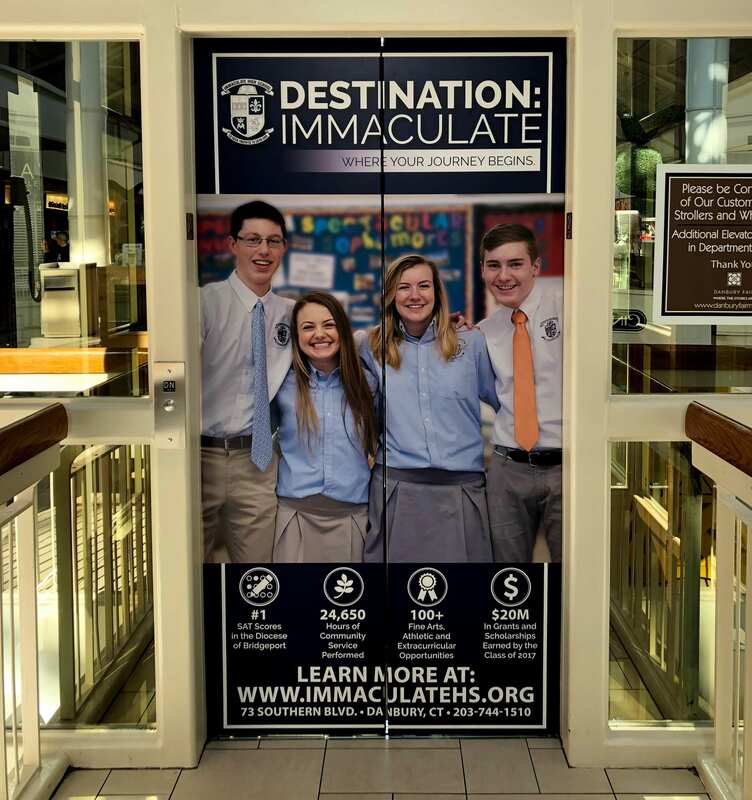 Coroplast signs are a great option for both indoor use and short-term outdoor use. Made from twin-wall polypropylene sheets allow them to withstand the elements when needed. 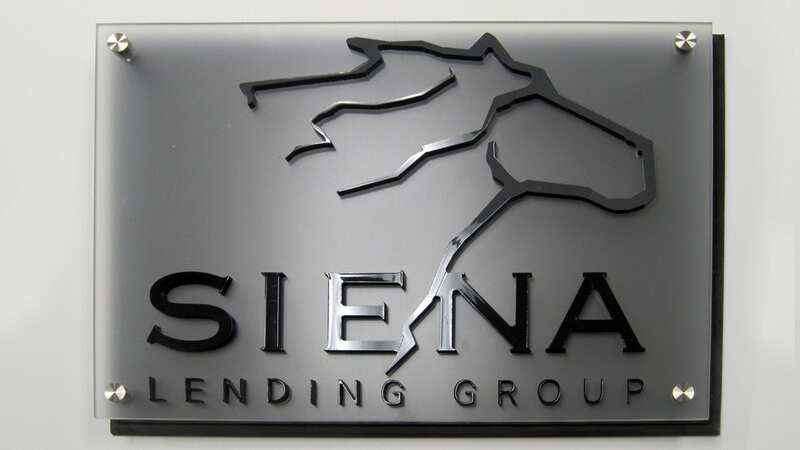 Here at Signarama we have a variety of high-quality custom signs, available in aluminum, wood, or plastic. A custom magnet wrap can help promote your business and can be placed onto any flat surface, including a vehicle. Easily customize a banner or poster for your business with us here at Signarama. You have control over the size, material, color, and font letting your creative ideas transform into reality. 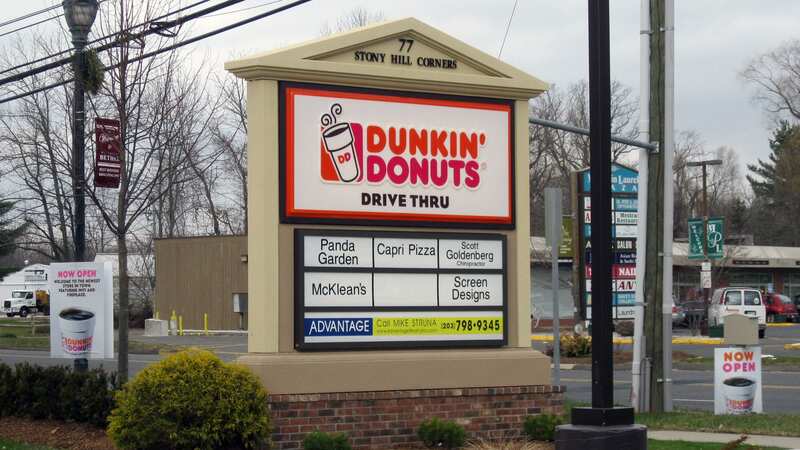 Hanging an outdoor sign or graphic allows your business to be noticed by hundreds of passersby. Whether you own a real estate company and need multiple signs or just opened a new cafe, we can create something beautiful. We offer our customers many customizable options, letting your style shine through. 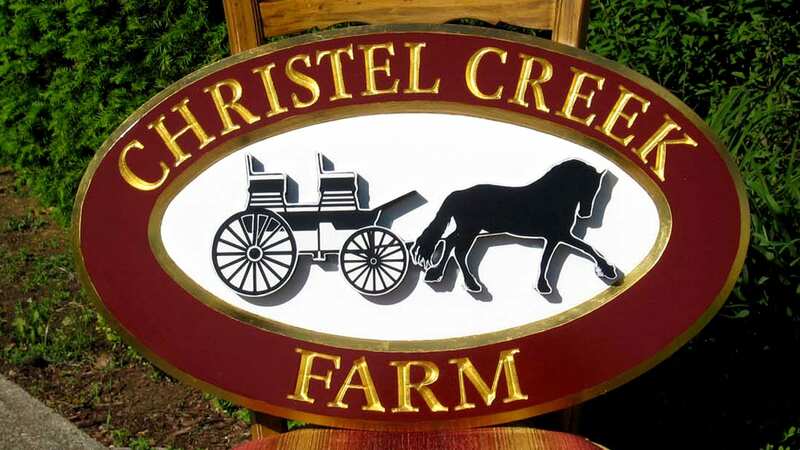 Our carved signs can be installed and left outside in the elements without fear of damage. They are made from laminated redwood or cedar and have proven to be long lasting and affordable. 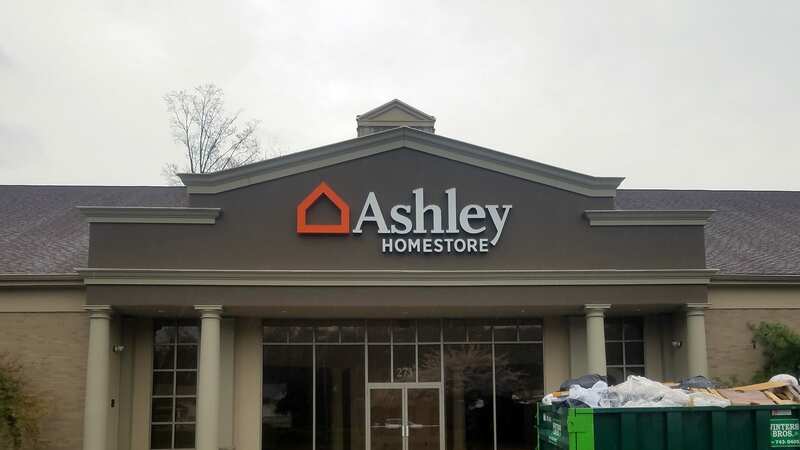 Channel letters are a popular option for retail establishments because they allow illumination behind dimensional channels, which helps draw attention from clients and customers. 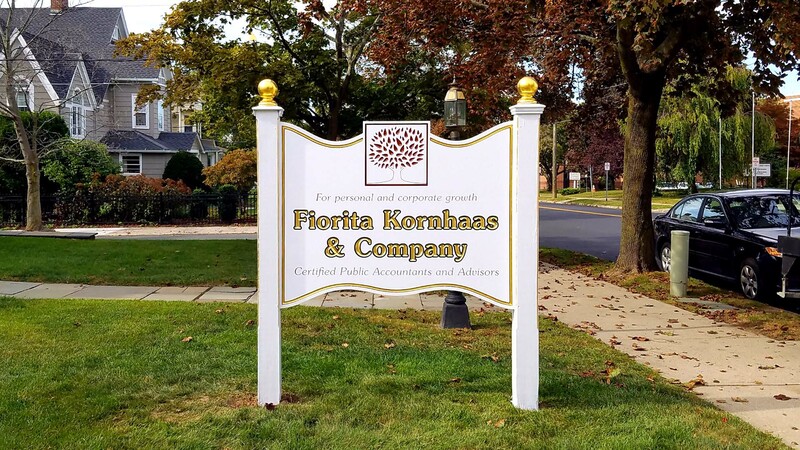 We are happy to work with you and create a custom sign using channel letters made from either metal or plastic for your business. 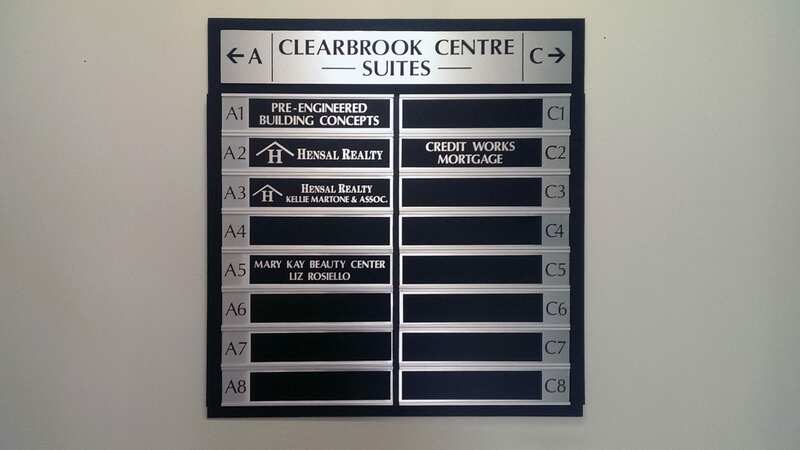 Outdoor directory signs can help cut down on chaos throughout your building. Both durable and interchangeable they offer clients and customers a sense of direction and can be great for parking lots or site identification. Get your name out there and draw in customers with a custom hanging sign. Available in a few materials like aluminum, acrylic, or PVC, these signs can be mounted or suspended by chains or brackets. Help customers find you throughout the night with a lighted cabinet. Fronted with a clear panel and lit with LED backlighting or fluorescent lights, they will beam throughout the night attracting customers. 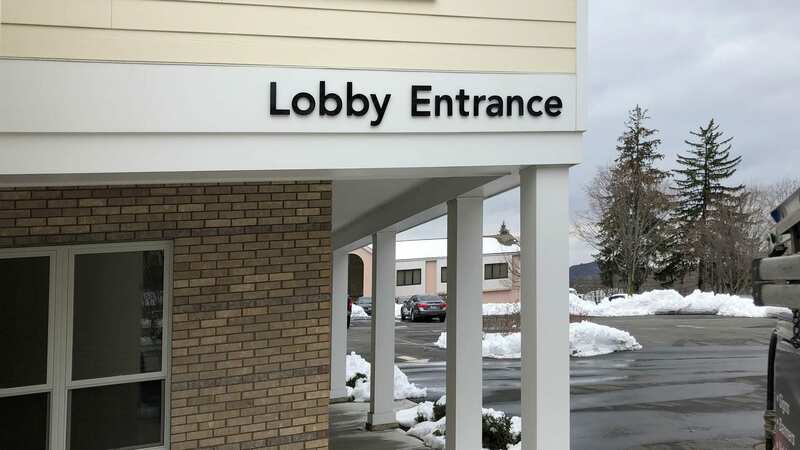 Great for plazas and other building complexes, monument signs can help customers, clients, patients, and anyone else help navigate throughout the premises. They can be customized to match the buildings color or texture. 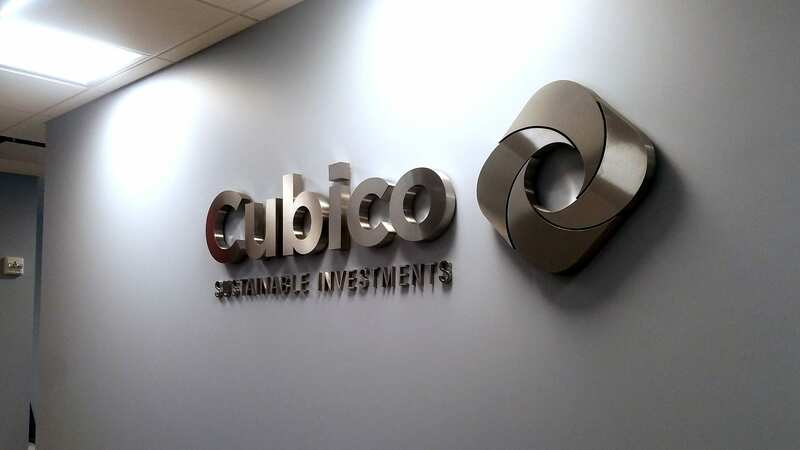 Made out of aluminum, foam core, or LED panels our post signs can enhance your visibility with printing on both sides. We can even add illumination to them. 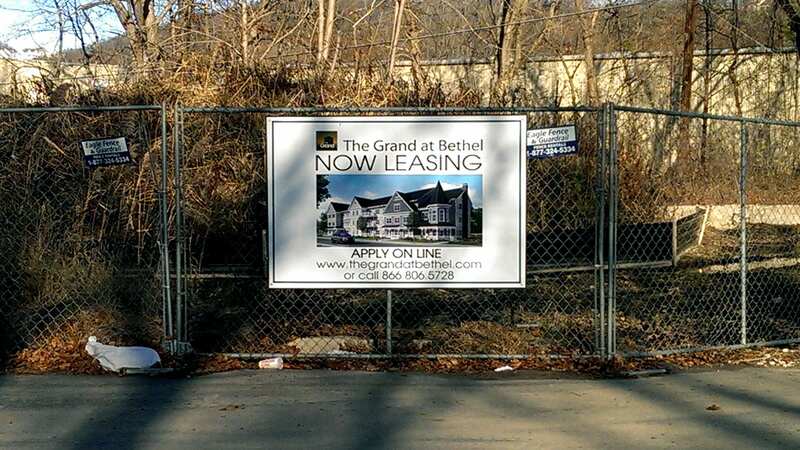 With many real-estate sign options our customers are sure to find something that fits their vision. 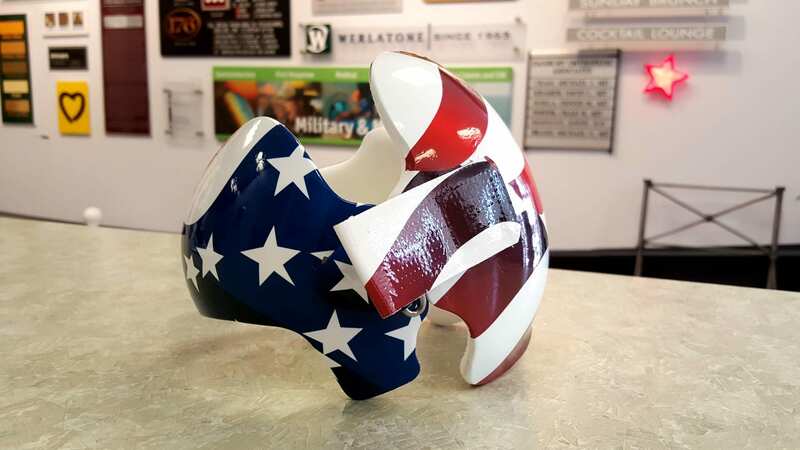 We offer corrugated plastic sign riders, metal frames, or flag signs. Our plaques are completely customizable and great gifts for loved ones or for business purposes. Choose their style, color, shape, fonts, and add engraving too! Made for parking lots, roads, street signs, and any other traffic control areas, our signs can be customized or bought standard and are DOT (Department of Transportation) approved. 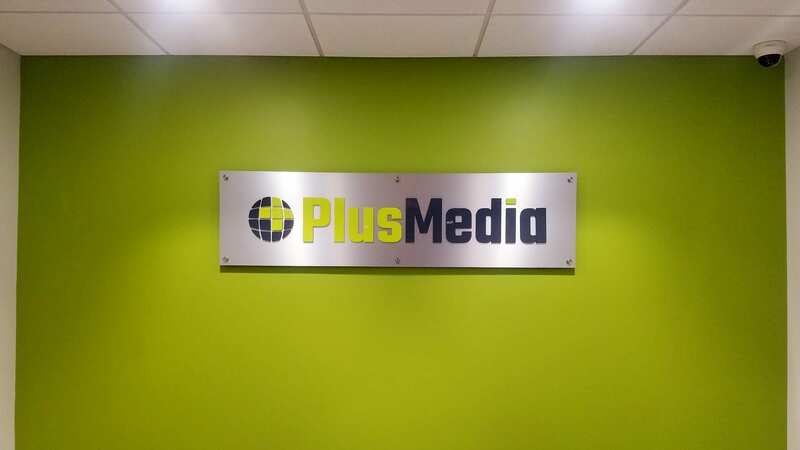 Our creative and experienced designers can assist you in any interior sign needs. 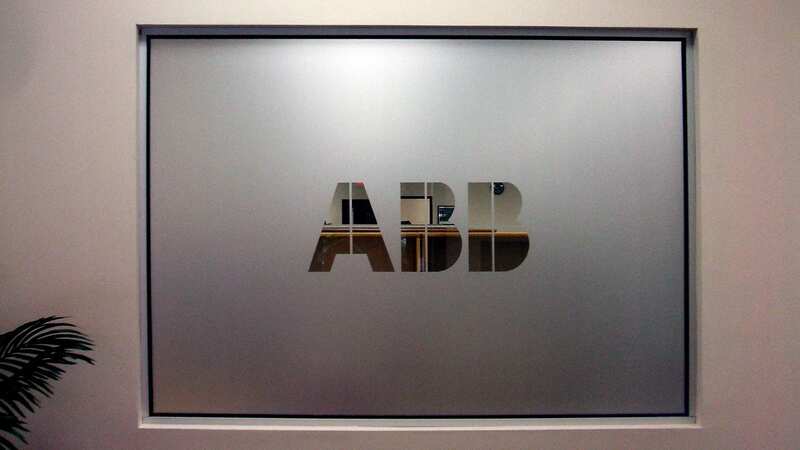 We offer a variety of options from door signs to floor graphics, letting all of our customers find exactly what they need. 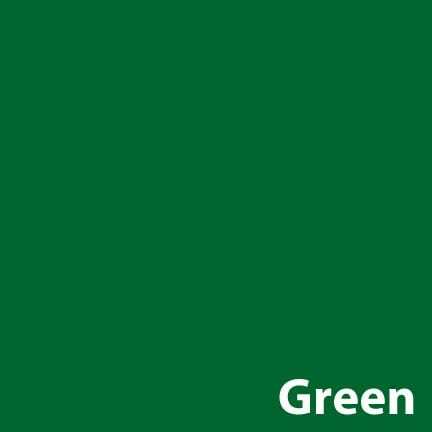 Wall-mounted or free-standing interior directories are ideal for a variety of business types. Customize yours and choose from metal, glass, or plastic, each is made with interchangeable panels or lettering. Our floor graphics can be adhered to almost any smooth surface, including: wood, carpet, vinyl, and tile. We use a strong adhesive and materials that make them resistant to scuff marks and scratches. Some floor graphics can be used for promotional or directional use in your business. Interior wraps can bring an extra personalized element to your overall design. We use quality products and can adhere them to any flat wall, even working around obstacles like doors, windows, or fixtures. 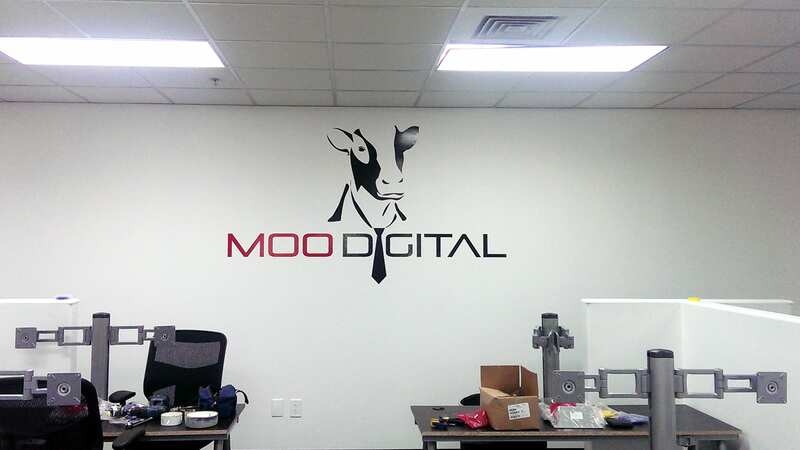 Let your business shine and inform with the use of our custom-made interior wall signs. 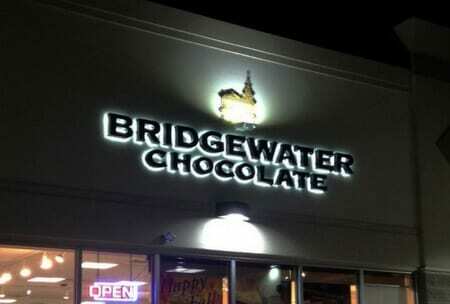 Great for offices, restaurants, retail stores, and any other business our signs are made with care. 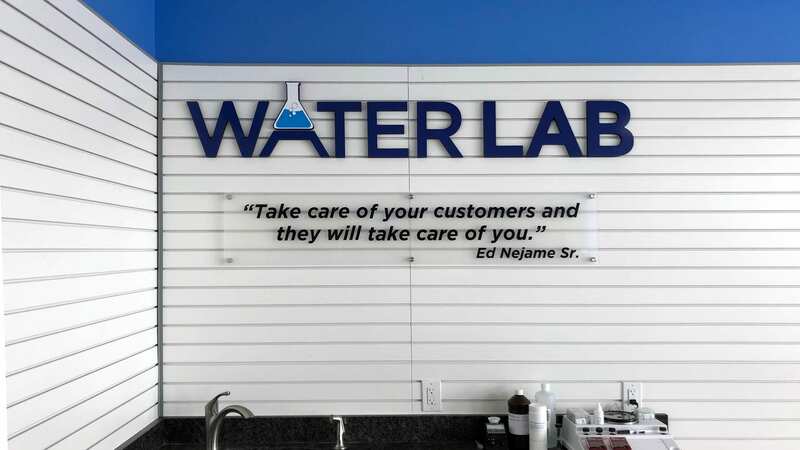 We specialize in acrylic, PVC, foam, vinyl lettering, and decals. 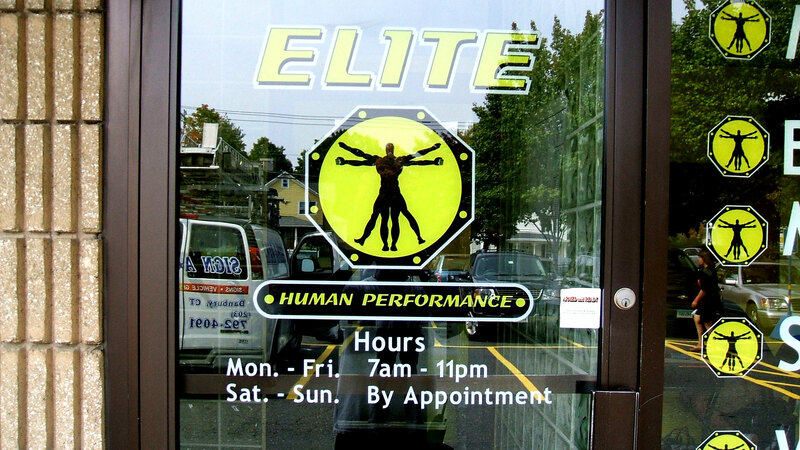 Customize your storefront or interior walls with our vinyl and dimensional lettering and give off a professional first-impression. 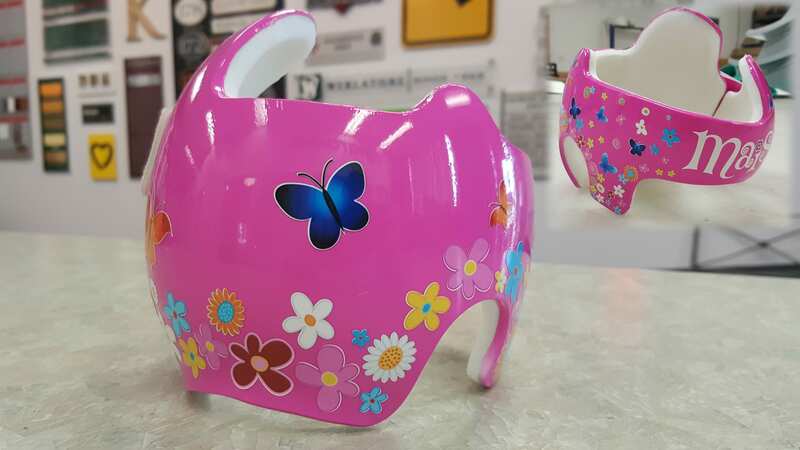 We offer this service in styles from plastic to acrylic, an affordable option for anyone. 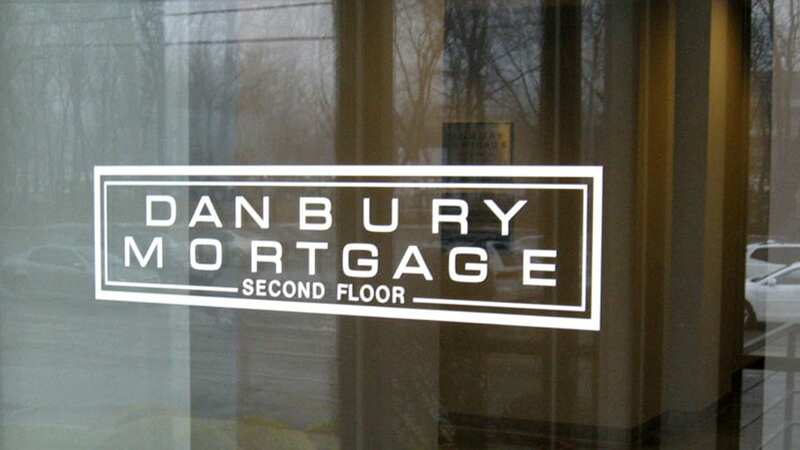 Our vinyl letterings can be adhered to most flat surfaces like floors, walls, doors, windows, and vehicles. 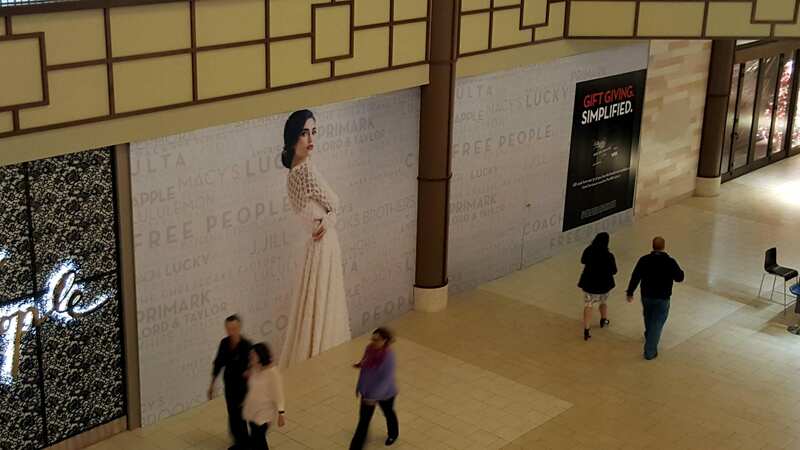 Design them large enough to fit an entire wall, or small enough to fit on the side of your car. We use a glossy vinyl material for a polished look. 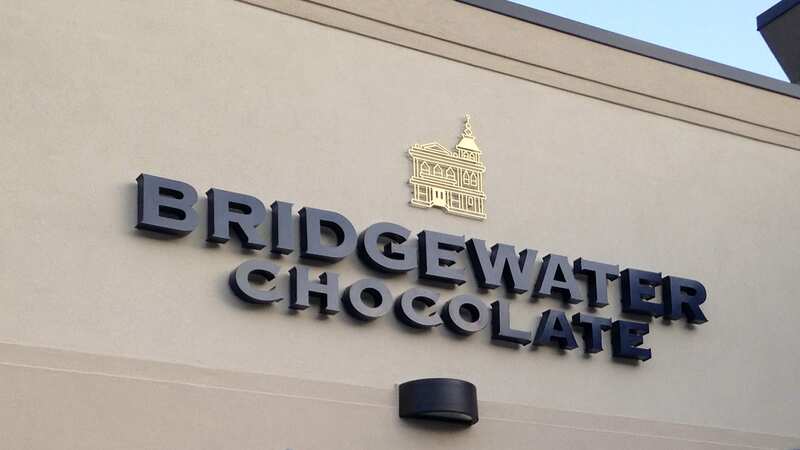 Show off your business’s logo or name with our chip-proof dimensional letters. This style is sure to draw in attention of those passing by and can be installed both indoors and outdoors. 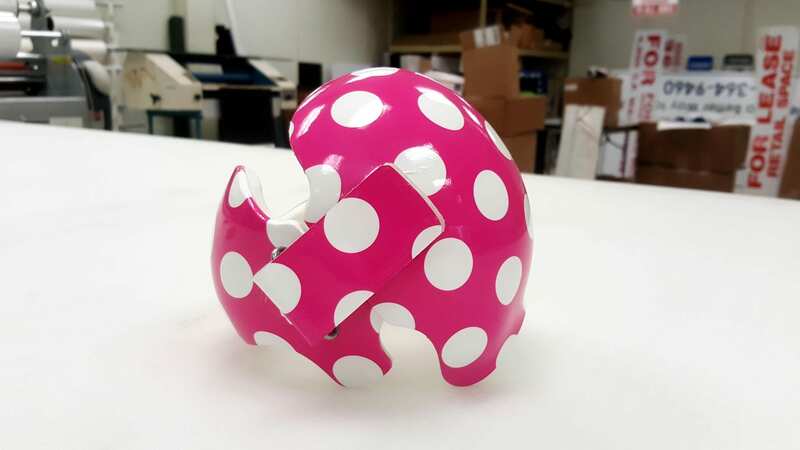 We offer a lightweight, more affordable option in either plastic or acrylic that lets you choose the color that will fit best in your store. 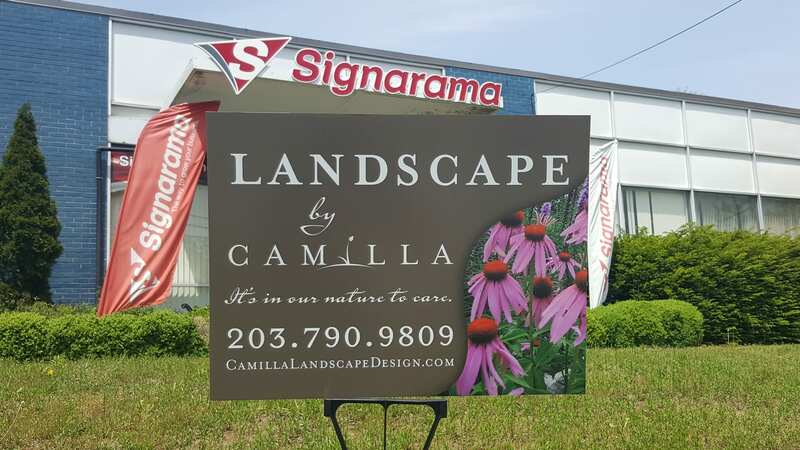 Whether you’re looking for products for commercial use or personal, we have just about everything here at Signarama. Our durable wraps aren’t just for cars or walls, we use them on your babies doc bands as well to help you personalize their protective gear. 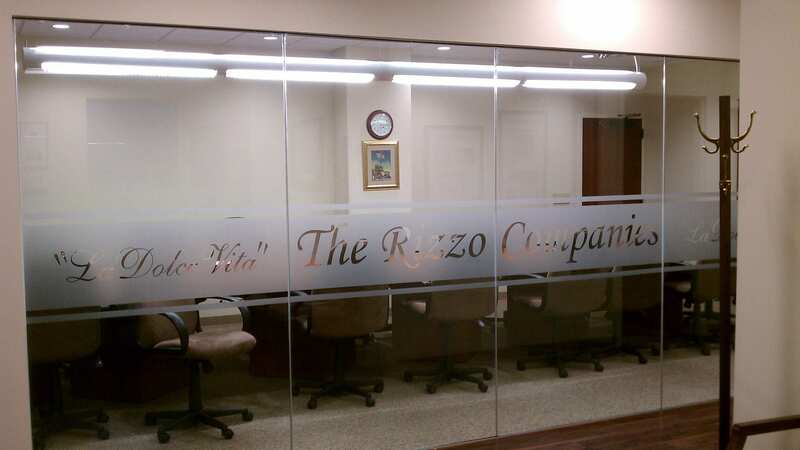 We can also apply frosted glass to your walls, windows, or doors for added design. We have creative designers waiting to help design your babies doc band wrap. 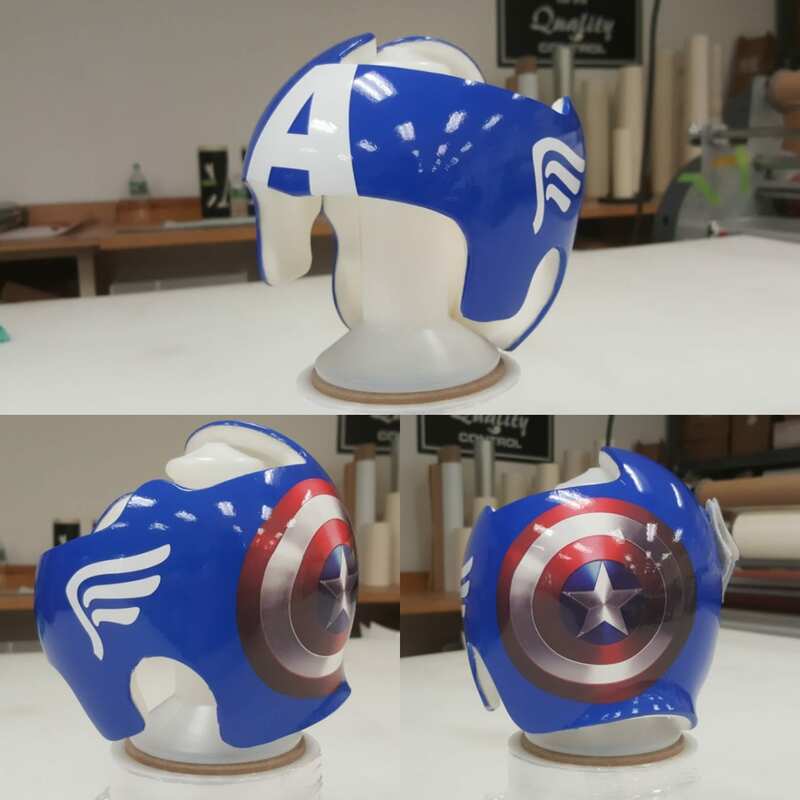 Using the same durable materials as we do with all of our other wraps, we can adhere something truly unique onto their gear. Choose the colors and patterns you would like or browse through some of our preset designs. We can add your babies name to completely customize the band too. Our window frosting can create privacy between offices or add a contemporary design element while still allowing light to shine through. Add it to boardrooms, doors, or walls and totally transform the look. We are happy to serve our Naugatuck customers with quality products and offer them at affordable prices. 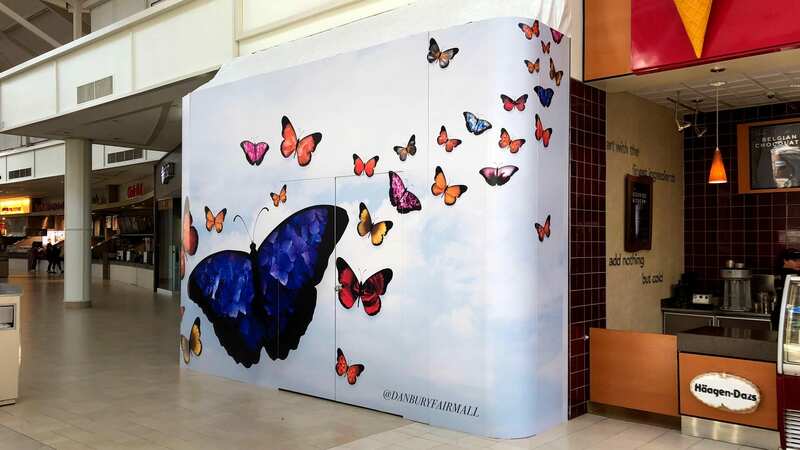 Let us help transform your business’s overall appearance with anything from exterior signs to custom floor graphics. We have a team of talented designers ready to assist your next project.